I’m in California on a business trip. Since i have time for my own away from family I contemplated having my eyebrows microbladed. Gooling around, grouponing and yelping lead me to Victoria. After reading the reviews i booked an appointment (same day) and Victoria is A+MAZING!!! I’m a little bit too picky.. After Victoria did her assessment and knew what i wanted, she drew a template on my eyebrows of how she sees it.. a little bit of tweaking here and there.. (did I say I’m too picky? ), she addressed all my concerns and rested me assured that I will be out of there happy and delighted! And sure enough, two hours later, I WAS!!! Pre-procedure and Mid-procedure i was skeptical and so afraid that i’m going to ruin my face.. But I’m SO HAPPY I found this little gem! Thanks, Victoria! I will definitely refer anyone who asks to her! She had pictures of me before-and-after and i hope she posts them soon. 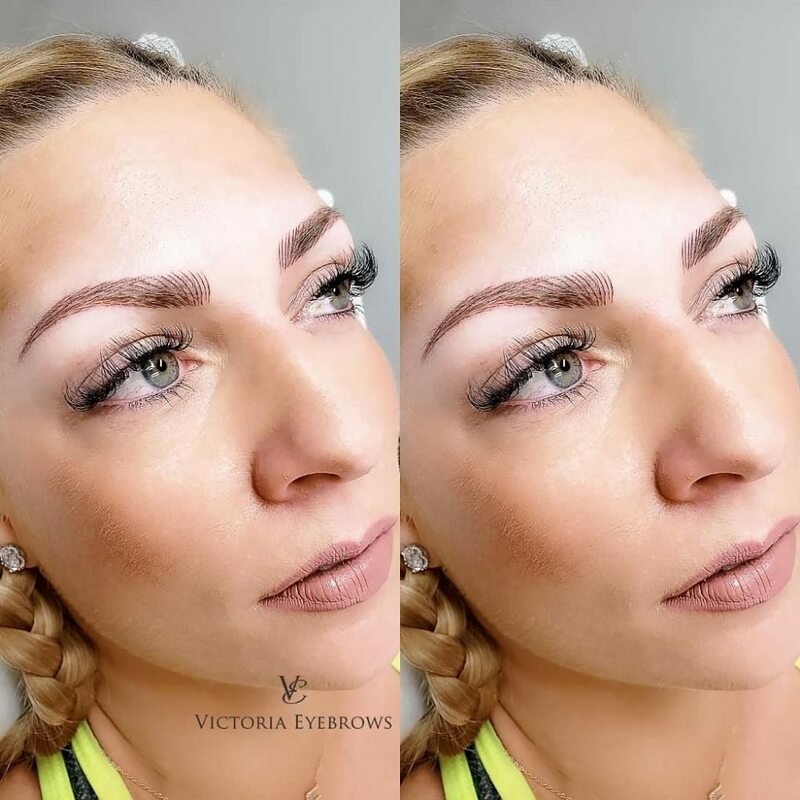 Microblading expert!! I can’t say enough good things about Victoria and her incredible talent! She was super patient and spent about 45 min just making sure my eyebrows were the perfect shape. I’ll admit, it was painful, but I do not have a tolerance for pain. It’s been three days since my microblading procedure and they look better every single day! I am absolutely thrilled I made the decision to get them done!! Good thing I grabbed extra business cards because I’ve been passing them out like crazy! I had my eyebrows done today. I was so scared of the pain and how they would look. I got to the salon a half hour early. What an impressive place! Individual rooms for each service. I found Victoria, she was finishing up another customer. Her customer told me as she was walking out, that it was the best thing she’s ever done. I asked her if it hurt, she told me it wasn’t bad and it was totally worth it. Victoria took a lot of time making sure the color and shape was just right. After she numbed me she started. It did hurt at first, but nothing I couldn’t handle. After awhile it was no big deal at all. She made me feel very comfortable and I am thrilled with the results. I highly recommend Victoria! She’s a gem. Victoria is just a Master at what she does!! When i went to her i asked 10000 questions. Since i dont have any tattoes i didnt know the feeling nor the aftermath, but Victoria took her time to explain in detail everything i was concerned about. My eyebrows now look amazing! And cant thank her enough. Youre a total Gem Victoria!! Your studio is nice and clean and once again your amazing!